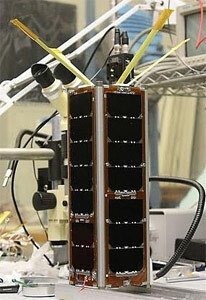 RAX (Radio Aurora Explorer) is a student-built nanosatellite for ionospheric research. It is built on a triple CubeSat structure. The RAX will measure the energy flow in the ionosphere, the highest part of Earth's atmosphere where solar radiation turns regular atoms into charged particles. RAX is a Ground-to-Space Bistatic Radar Experiment. The RAX satellite will act as a receiver that will pick up signals from a ground radar transmitter. These radar pulses will reflect off disturbances, or space weather phenomena, in the ionosphere. 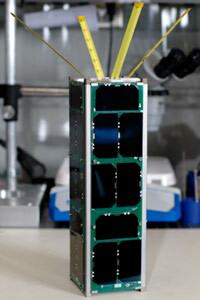 RAX 1 was launched in 2010 as a piggy-back payload on a Minotaur-4 HAPS launch vehicle. It suffered from an anomaly on the solar panels, which resulted in degradation of power generation until, after several months, RAX-1 was unable to generate power. This anomaly ultimately resulted in the premature end of the mission. Despite this early end, the RAX-1 mission still made great strides in CubeSat design, and was able to execute bistatic radar measurements that had never before been performed with a CubeSat. All other subsystems also performed well. The team was applying the lessons learned from RAX-1 to the design of a second flight unit, RAX-2, which was launched on a Delta-7920-10C through the NASA Educational Launch of Nanosatellites (ELaNa) program in October 2011.